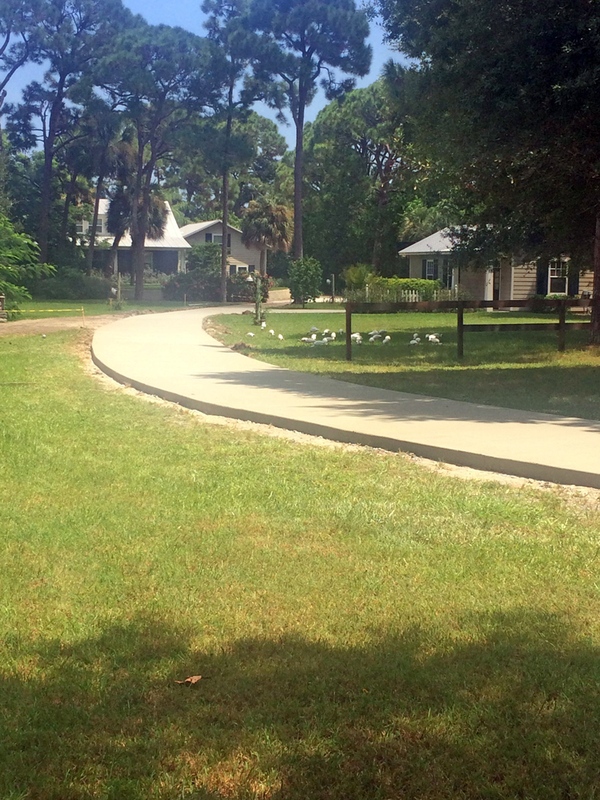 Your driveway is what welcomes you home after a long day. 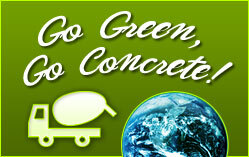 Make sure it’s built to the highest of standards by a skilled concrete contractor. 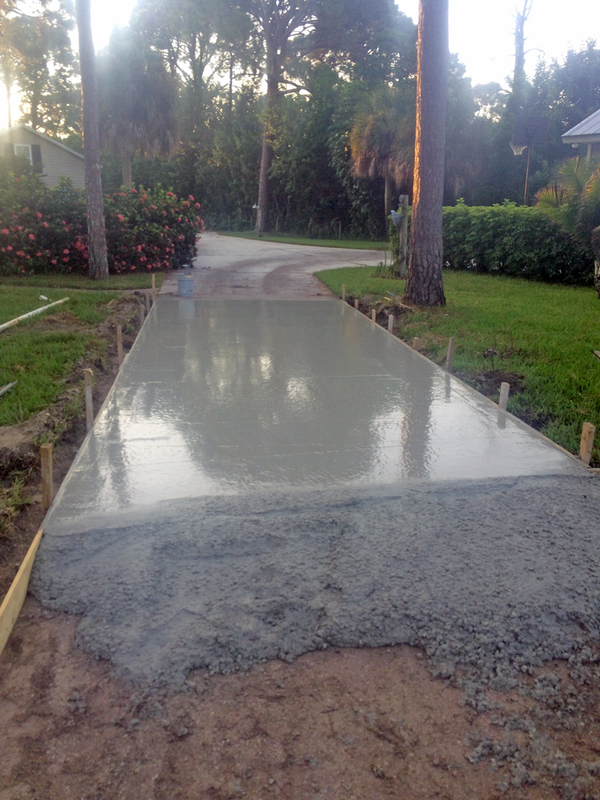 With 18 years of experience working with concrete in Merritt Island, Fl, Brevard Concrete Paving is one of the most reputable concrete contractors on the Space Coast. We have shown ourselves to be reliable, knowledgeable, and trustworthy. We are open with our clients, clearly explaining our process so they understand the work we will be undertaking, and respectful of their property, whether it’s residential or commercial. 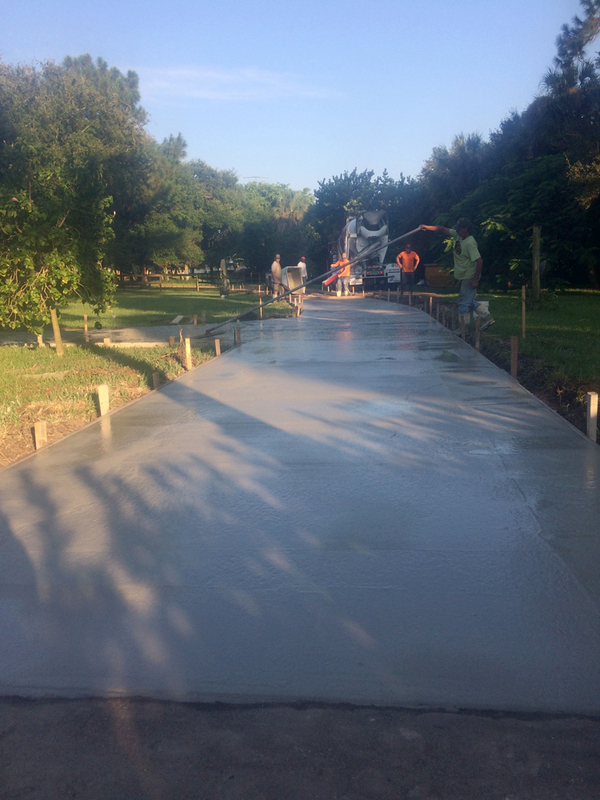 As concrete contractors, we work with clients on a variety of projects, including pool decks, sidewalks, foundations, and driveways. 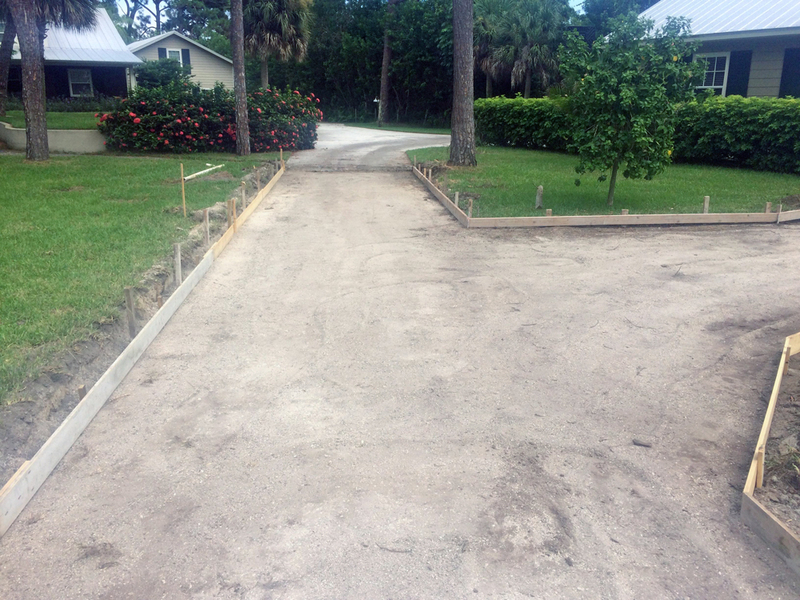 The following images are from a concrete driveway project we completed in Merritt Island. 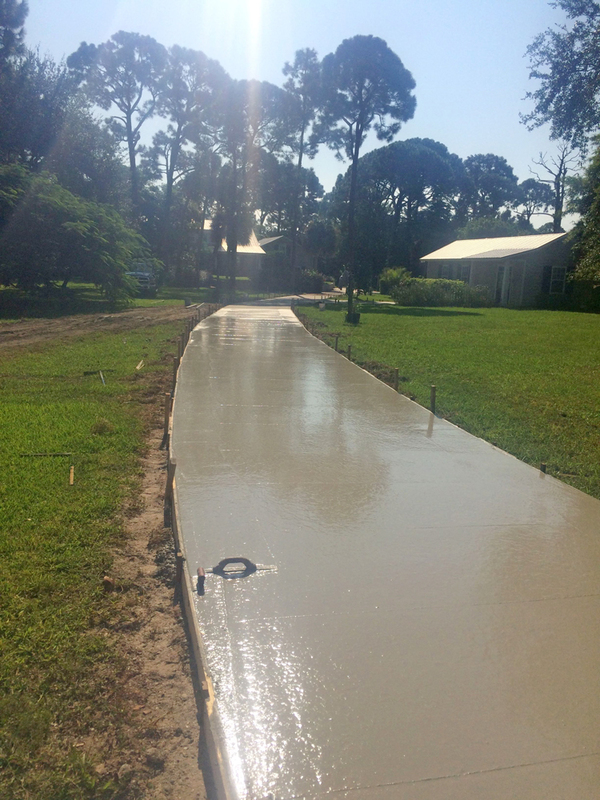 To create an optimal driveway, we plan the project, prep it, and then pour it. 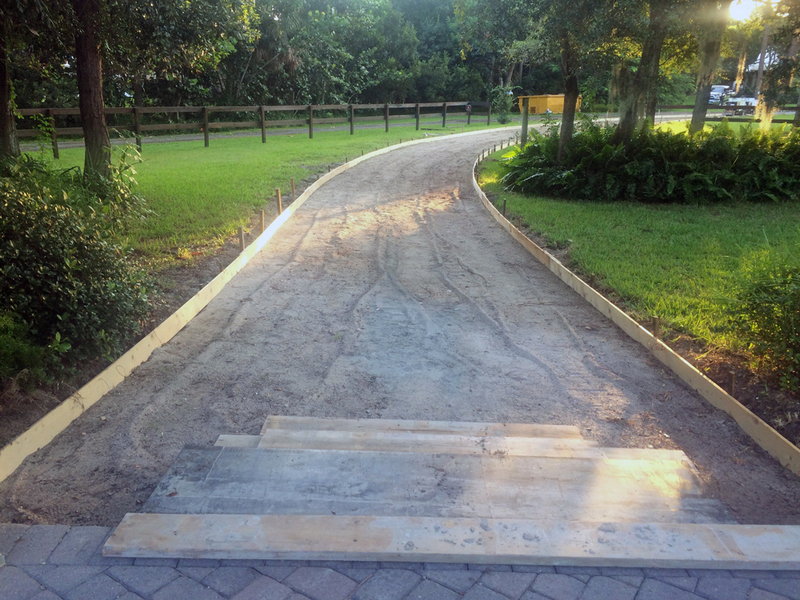 Planning: The shape of your driveway will be determined by your needs and your land. 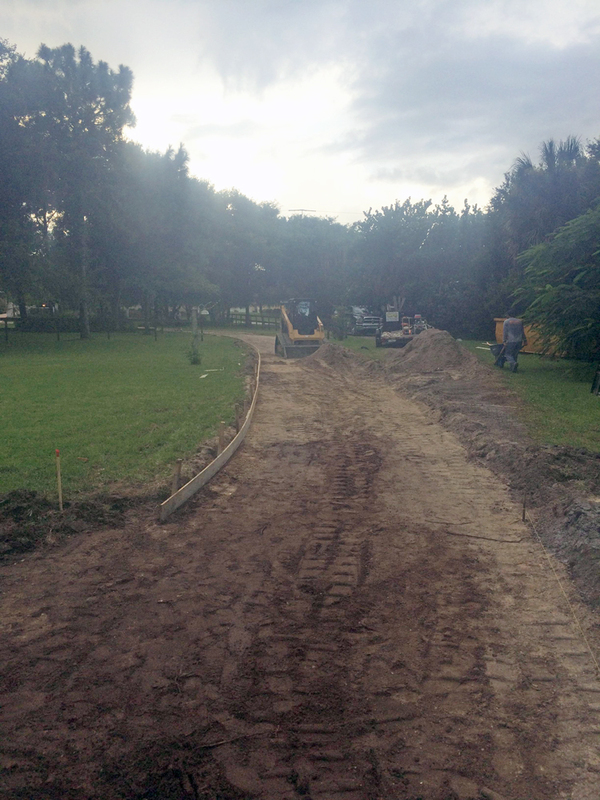 For this project, our clients required a curved driveway with a walkway leading to the front patio. For everything to align properly, accurate measurements must be taken. Then, the area is marked off. Any topsoil or plants must be removed from the site so the underlying ground can be graded and compacted. 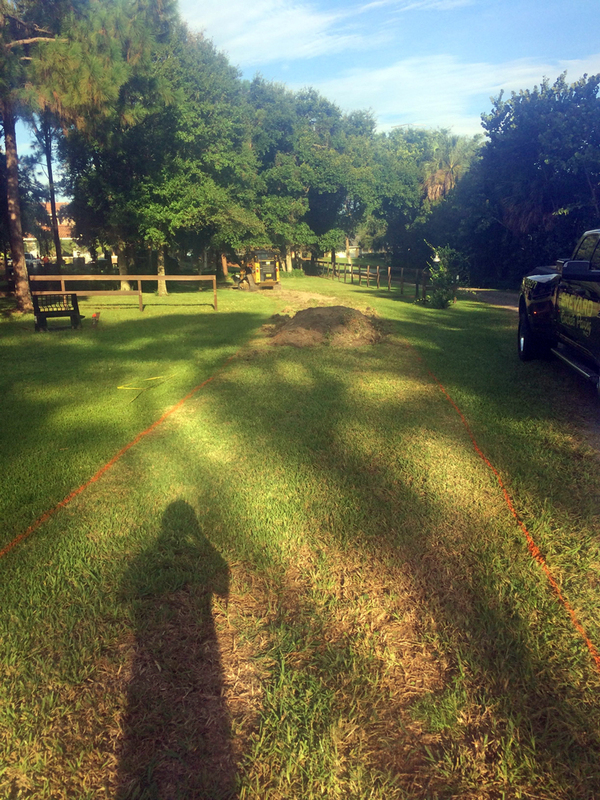 Prepping: Once the area is clear, we can begin building a form. Generally constructed from wood, this form is what the concrete will be poured into. 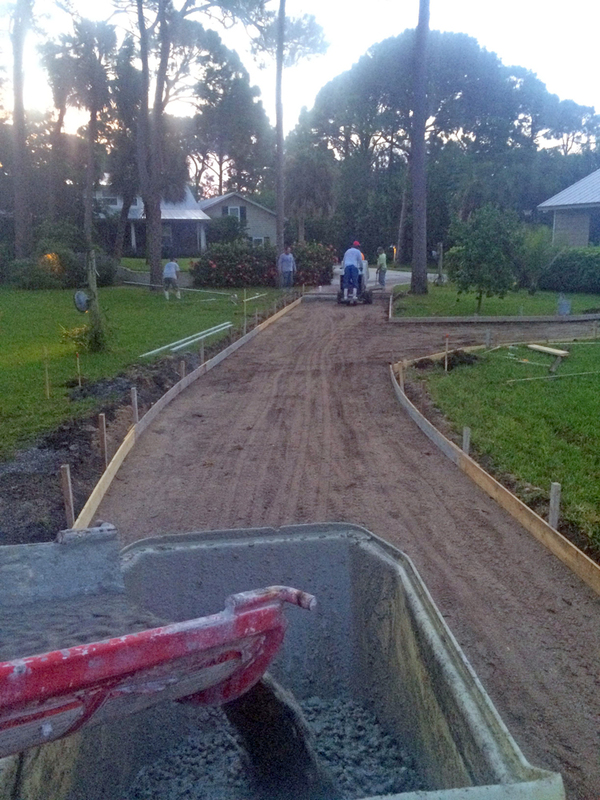 Because this site required a curved driveway, precision was essential. As you can see, we placed many supports to keep the form strong and to help it hold its unique shape. Depending on the project and how it will be used, it is sometimes necessary to add more support to the concrete with mesh or rebar. This is generally done once to the form is in place. Pouring: The form is put to the test once we start pumping in the concrete. A good form will hold its structure and support the weight of the concrete, which can be surprisingly heavy. 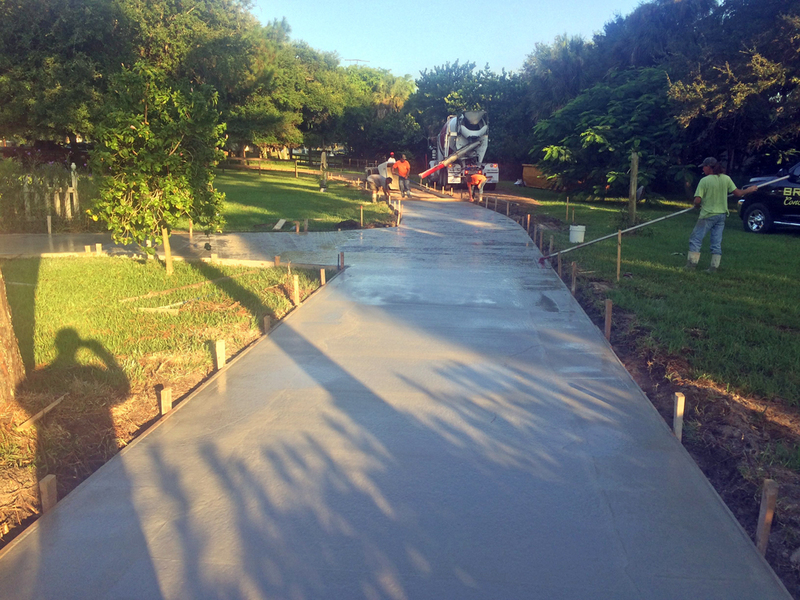 The concrete is carefully finished so that it has the desired effect when dry. 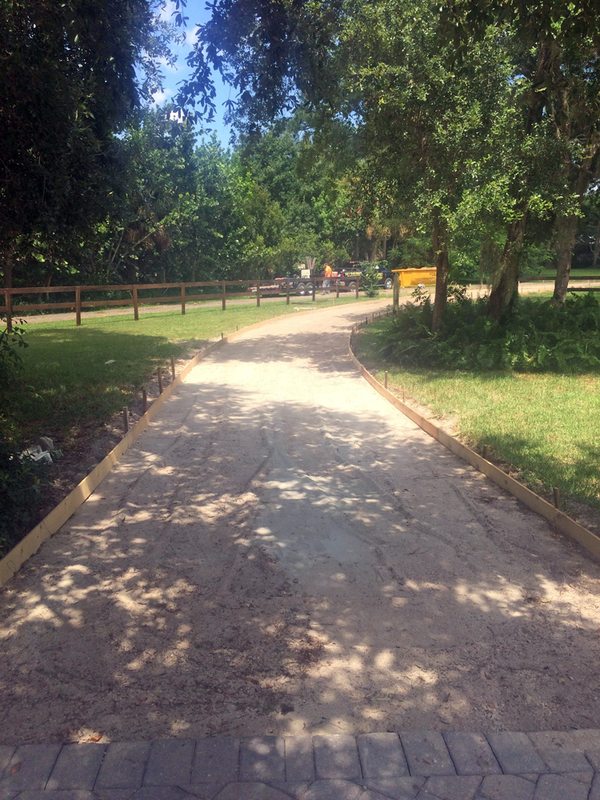 Once the concrete is dry, we remove the form to reveal a lovely curved driveway, ready to transport the owners to their lovely home. 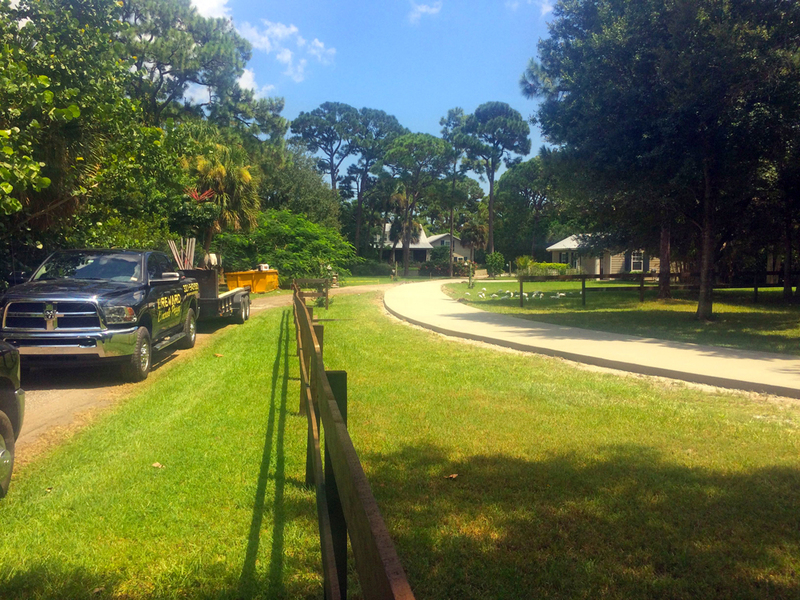 Our goal is always to deliver a high-quality concrete product for our clients, whether it’s a decorative concrete patio or a curved concrete driveway. 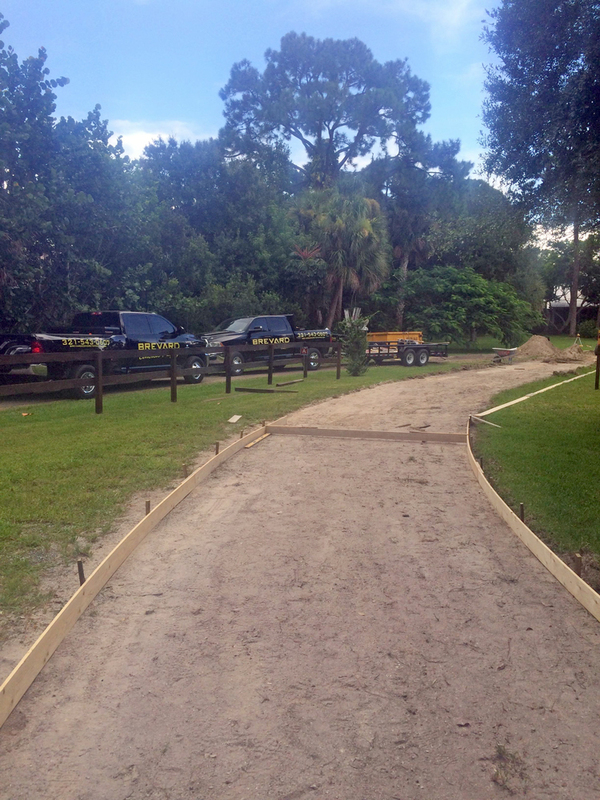 We were happy to deliver this custom driveway for our clients. 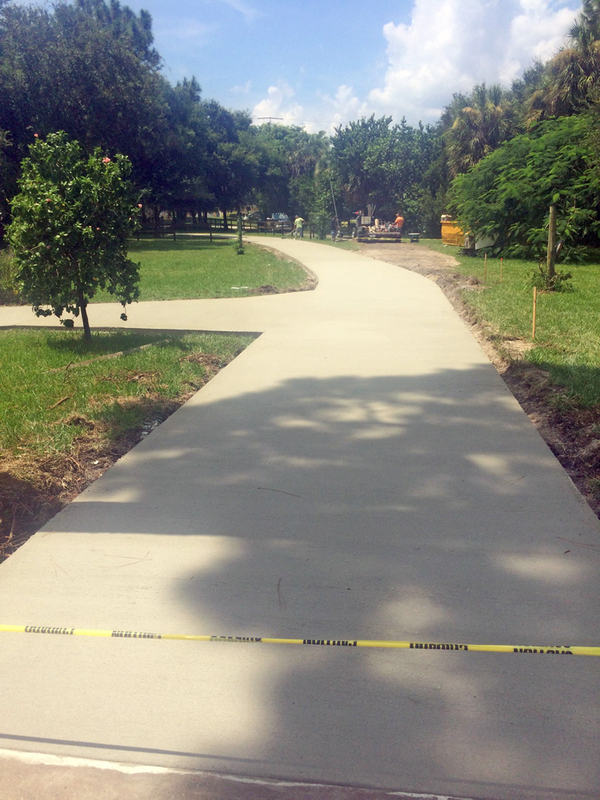 If you need high-quality contract work completed, call Brevard Concrete Paving, Inc. to learn how we can help you with your project. 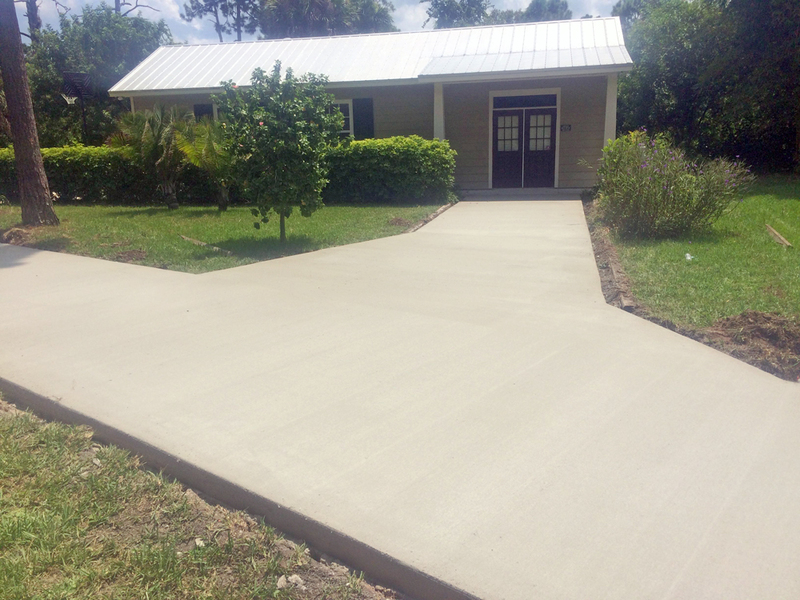 As one of the area’s most experienced concrete contractors, we’ve successfully completed numerous concrete projects for homeowners and property owners. We take great pride in our work and always aim to deliver the top-notch service our clients have come to expect from us. Ready to learn more about how we can work together? 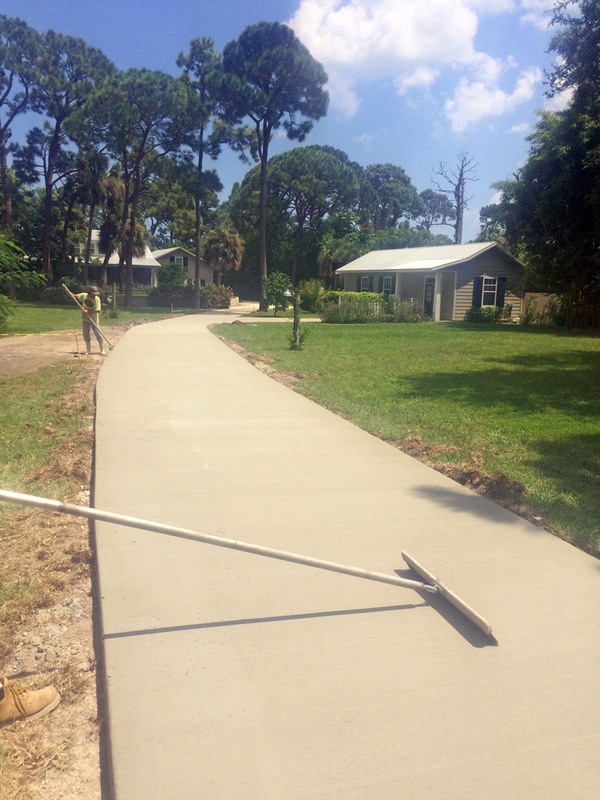 Contact Brevard Concrete Paving, Inc. today.